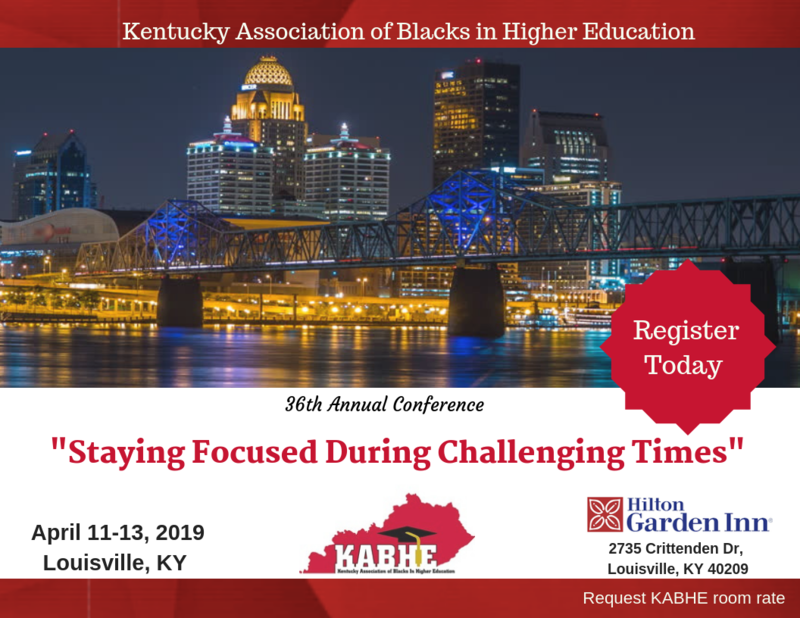 All conference registrations include one year of membership in the Association of Blacks in Higher Education (KABHE). **If you would like to pay by check or purchase order please contact: Ms. Rochelle Shields, Treasurer, shieldsr3@nku.edu. Registration Cost: $100 and includes one 6ft table and (1) chair. If electric outlet is needed, please advise - not guaranteed. Please email Dr. Abell, Conference Chair, at rabell@simmonscollegeky.edu, a description of the items you will have on display - once you receive an approval in email from Dr. Abell, you can register by visiting the link below.